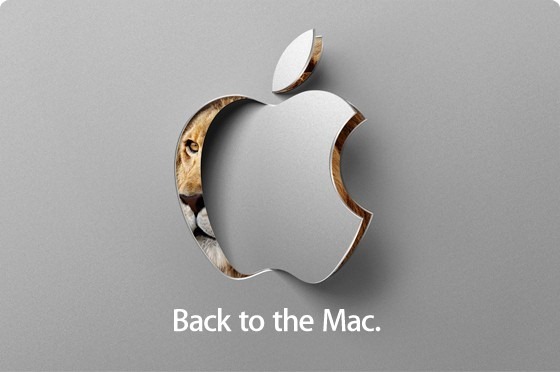 Just like the last event, Apple is once again going to stream their “Back to the Mac” event live. You will have to have either a Mac running Safari on Mac OS X version 10.6 Snow Leopard, an iPhone or iPod touch running iOS 3.0 or higher, or an iPad to watch the streaming. Apple® will broadcast its October 20 event online using Apple’s industry-leading HTTP Live Streaming, which is based on open standards. Viewing requires either a Mac® running Safari® on Mac OS® X version 10.6 Snow Leopard®, an iPhone® or iPod touch® running iOS 3.0 or higher, or an iPad™. The live broadcast will begin at 10:00 a.m. PDT on October 20, 2010 at www.apple.com/uk. This broadcast is the property of Apple and is protected by US copyright law and international treaties. Any reproduction or distribution is strictly prohibited without prior written approval from Apple. Please contact Apple Public Relations with any questions. Live broadcast of the event will begin at 10:00 a.m. PDT on October 20, 2010 at Apple.com (click here to see what time is it in your region). Stay tuned to us as we will cover all the bits once the dust has settled !